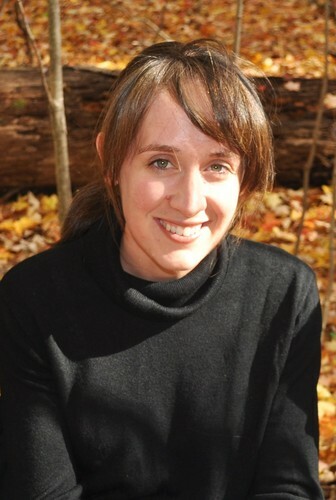 Rachel Bomberger is Internet marketing manager at Eerdmans. As a teenager, she once wrote a 40-page novella in the style of Upton Sinclair’s The Jungle. It remains unpublished. As Internet marketing manager at Eerdmans, it is my privilege to be on the receiving end of many of the “contact us” links Eerdmans has scattered around cyberspace, including the contact form here on EerdWord. Usually these emails don’t require much more than a polite howdy-do and a few sentences of information by way of reply. Every once in a while, though, I get an email that seems to deserve much more than a cursory response. Ordinarily, I would respond to a question like this with a short form letter directing the aspiring young author to the EBYR submissions page on our website. This time, for some reason, that didn’t seem like enough. Perhaps it was the memory of my own twelve-year-old self — so full to the brim of literary dreams and ambitions — that urged me on. I would never have had the courage to write a publisher for advice back then (I probably wouldn’t now, in fact), but if I had, it would have meant the world to me if someone had actually replied. So, at the earnest prompting of twelve-year-old Rachel (she’s a hard one to refuse), I did reply, and properly. I’m sharing my reply here now, just in case there may be other twelve-year-olds (or former twelve-year-olds) out there who might appreciate a little solid advice on publishing but who, like me, might also be far too shy ever to ask for it. 1. Read, read, read. Write, write, write. These are the only two tried and true ways I know to make yourself into a really good writer, and it’s essential to be a really good writer if you’re going to write a really good book. 2. Once you’ve written a book (and it sounds like you have — congratulations!) make sure it is as good as it can possibly be before you try to find a publisher for it. Almost anyone can write a picture book. They’re short and simple. Many people could probably churn out several a day if they wanted to try. But (and this is a big “but”): almost nobody can write a really good picture book. It’s incredibly hard. My advice, then, is as follows: when you think you’ve finished writing your story, read it. Then reread it, and reread it again. Read it out loud to yourself. Read it in your head. Put it down for a few days, then come back and read it again. Get lots of other folks — kids and grown-ups — to read it and tell you what they think about it. Then, don’t be afraid to rewrite bits (or all) of it over and over until you get it as near-to-perfect as you can. 4. When you have your story as near-to-perfect and as compact as you can make it, find a publisher that publishes your sort of picture book. If you’re thinking of submitting your book to Eerdmans Books for Young Readers, the first thing to do would be to look over our list of available books and make sure that yours fits with them. You can find our ten most recent releases here. If you’re able to find and read a couple of our books at your local library or bookshop, so much the better. Most publishers will turn down even a very good book if it doesn’t happen to suit the needs of their particular program. 6. Once you’ve sent in your manuscript, be patient. We have a small and very busy staff, and it may take them several months to get the mail stack whittled down to the point that your letter is on the top. 7. Be prepared for rejection — or more likely, no response at all. EBYR receives hundreds of submissions every year. We never publish more than about fifteen children’s books annually. Of those books, many are from authors with whom we already have working relationships. A significant number of the rest are books that have already been published in other countries that we have decided to translate into English and make available to readers in the United States and elsewhere. This means that, in a good year, we will likely only publish a handful of books from first-time authors. Even if your book is fantastic, the odds of it being published by us may still be pretty slim. It’s a hard reality, but it’s one that every author has to come to terms with. *This is actually true for all books, not just picture books.